Photograph of the Fakel Enterprises SPT-140 on display. 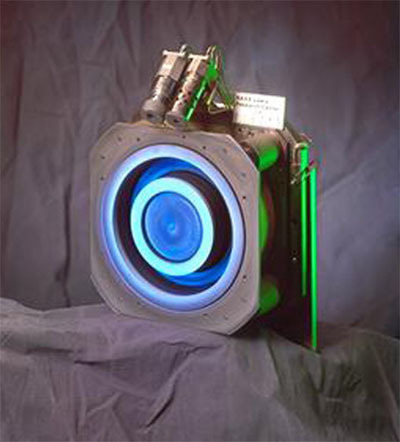 As a part of the Air Force Integrated High Payoff Rocket Propulsion Technology (IHPRPT) program the Fakel Enterprises 4.5-kW SPT-140 was tested at PEPL. The work at PEPL included performance and PPU testing.